Is Music Theory Really A Need To Know Thing? Whether they play pop, jazz, classical or any other styles of music, it is very common for musicians to begin playing by using their ears rather than reading music or even knowing what notes they are playing. This isn't a bad thing in itself. As humans we are very good at copying behaviours such as spoken language so, why not music. However, does this ability to copy music by ear discourage young musicians from learning theory in the first place? It is possible to play an instrument or compose music without knowing music theory. I've heard a lot of musicians who do this say things like "I can play fine but I don't really know what I'm doing". For me, this is actually a misdiagnosis. If they didn't know what they were doing then surely they wouldn't be able to play in the first place. Not knowing theory just means that these musicians simply don't know what to call the notes, chords or scales that they are playing. This is the first point I would like to make. If you are reading this and you're a musician who likes the music that you play or write but who doesn't know music theory then you simply lack terminology, not musical understanding. The problem comes when you have to start communicating your ideas to other people. When I was younger I didn't know much music theory and as a result I would often come up with my own terms to try and describe events in music. I would describe soft music with words like "summery" or "sort of yellow" or I would describe dissonant chords with phrases like "scary" or "intimidating". Those of you with a back ground in music theory will know that situations like these can be a little frustrating. At the time, my justification for not learning theory was that it would "kill the magic" in what I was playing or writing. However, it wasn't until I was sixteen and began to learn theory that I noticed that the sound of a chord, scale or progression didn't change regardless of what I called it. So, seeing as the vast majority of the other musicians I was playing with knew theory, it became a lot easier for me to simply learn their terms and begin to express my views using vocabulary that was common and understood by a group of people, not just myself. As I began to study more, I started looking for all these bits of theory in actual recorded music. This is what solidified the knowledge for me. It was one thing to know what a perfect cadence was but, as time went by, it became much more useful for me to know the sound of a perfect cadence and not just the mechanics behind it. I have also seen a lot of people who are guilty of missing out this last step. They know every bit of theory but they can't use any of it. For me, knowing the theory and being able to use it effectively is what it's really all about. I need to have an applied and practical understanding to be able to use theory to it's full potential. If I have ideas in my head that I want to communicate to others then having a strong, applied knowledge of the relevant theory can not only help me understand what I'm hearing but it will also help me articulate that to another person. If I can do both of these things then, the chances are that I will be able to construct my musical ideas with much more accuracy and efficiency. It can be a bit of a long haul at times but, in my opinion, an applied knowledge is really the thing to go for. It won't make your music too complicated, overly clever or kill any kind of magic that your work might have previously had. It's all about how you use it. 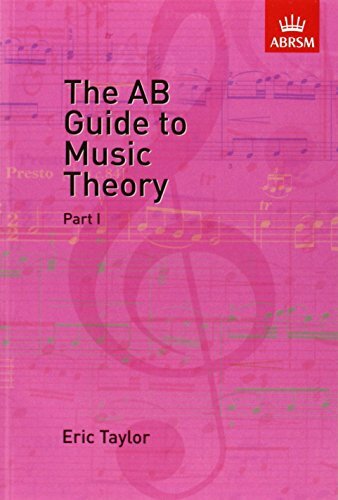 If you're interested in learning more about music theory then I highly recommend starting with the AB Guide To Music Theory. Also, if you've found this article interesting and useful then please leave me a comment and let me know your thoughts! Music theory can also help you make more informed decisions and learning how to read music is a requisite for most classical music teachers unless they use the Suzuki method. Learning to read music brings a lot of benefits as well as learning theory and I would suggest it to anyone even if they didn't start out learning it. I agree completely Sophie! I always feel the most important thing is to know how music theory actually sounds and to try and develop an applied understanding of theory. We use so much of it without even knowing it. I've seen plenty of people try to describe the sound of something like a perfect cadence without using "miso terms" as they often put it and knowing the relevant theory or terminology would not only be a time saver but also, hugely beneficial to all involved. Thanks for reading and leaving a comment!